So adults had fun, too! 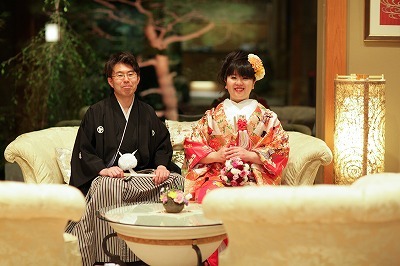 Y-sama and O-sama wanted to have simple wedding ceremony and reception with just their family members. 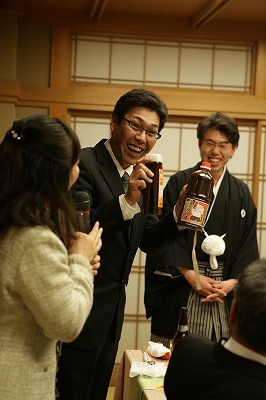 So they decided to do small sized “Kagami Biraki”. They wished good luck and happiness for all the family members! Usually, you will find sake in the barrel, but this time we put numbered pieces of paper in it. Every guest drew a piece from the barrel and they got a present for the number from the bride and groom. They tried very hard to prepare the reception so that their precious family members can enjoy it. They made plans with everyone’s smiling faces in their mind. And they told us that they received lots of praises about the reception from their family. 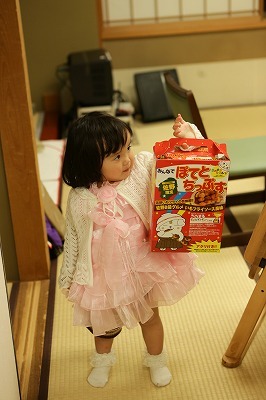 I hope they will experience many happy events in the future as well and build a happy family. We wish them a life-long happiness!